A sunset moment that came from my archive. 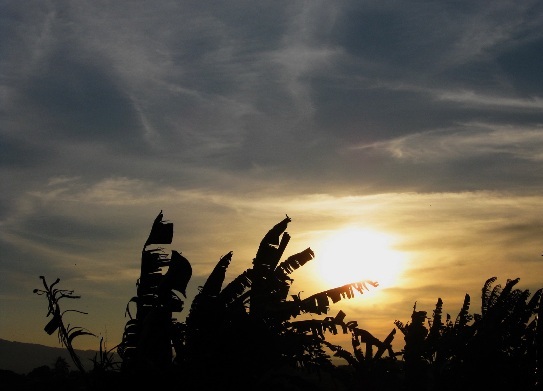 The sunset looked pale but the silhouettes of banana leaves can add the sunset beauty. Wonderful sky, exquisite picture, great light! Hello Lina, lovely sunset and the silhouette of the leaves is pretty. Great shot, have a happy weekend!